Very porous and retains moisture well. This is the optimal soil type and can be watered normally. Extremely porous and drains quickly. Water slowly to saturate soil root zones. Holds more water, but is slow to absorb and release. Do not water faster than the soil can absorb it. If you have sandy or very heavy clay soils and would like to improve its water retention, add compost or organic matter to your soil. Adding sand to clay soils, or clay to sandy soils will create a cement-like soil, making water retention worse. One inch of water per week is adequate for most plants. You may use a rain gauge to assist (not included; sold separately). 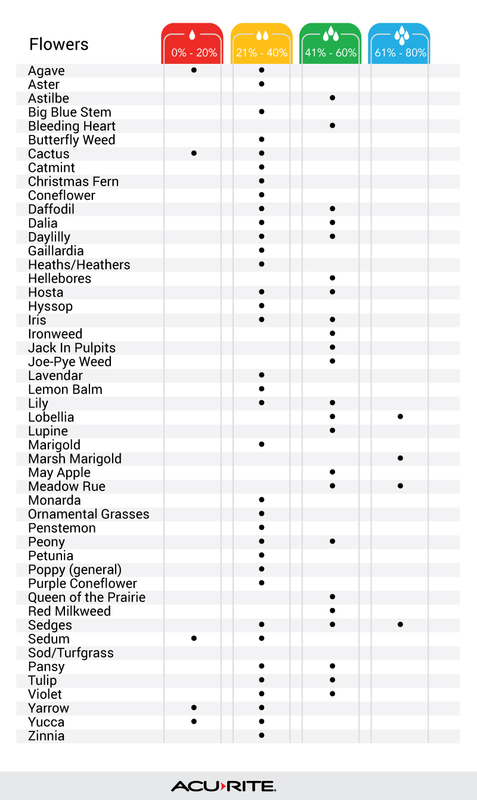 The plants listed in this guide represent commonly found species. 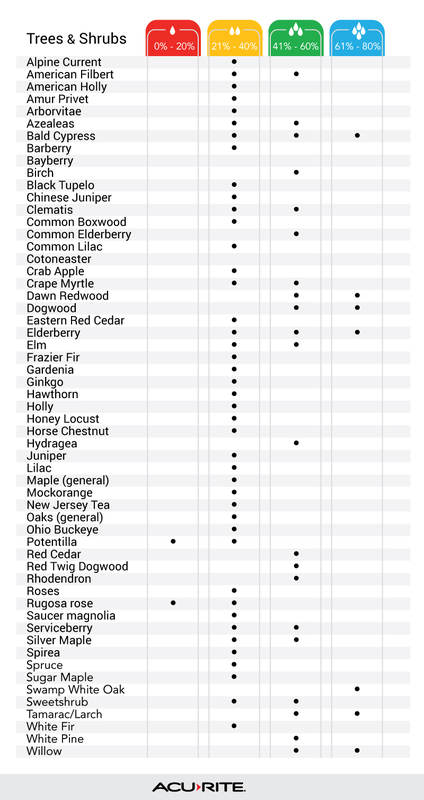 Consult a local horticulture professional for more specific details on plants not found on this list. NOTE: All vegetables require soil moisture between 41% - 80%. 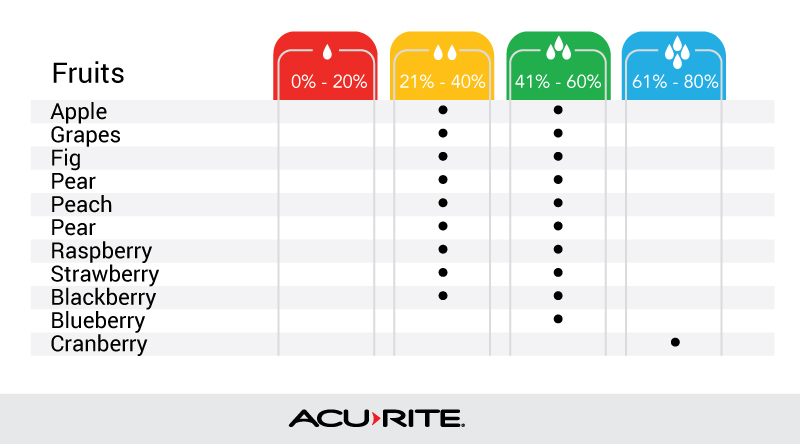 AcuRite Soil Moisture Meter to help keep your plants and garden healthy. Measure moisture, pH, temperature, and more.